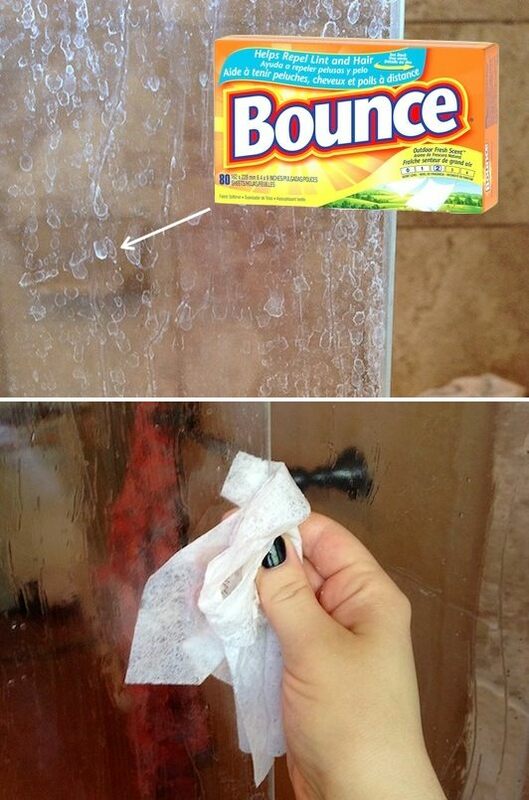 Why would you clean your baseboards with dryer sheets!? 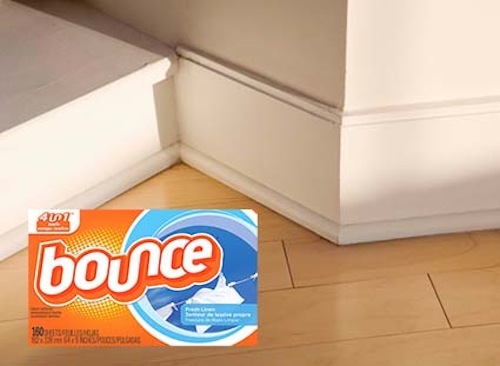 Because they will not only leave your house smelling amazing, but the fabric softener works as a dust repellent, and for you, this means less cleaning and less often. Soap scum AND water spots! They are the toughest and most frustrating part of cleaning any bathroom. I’m not sure exactly what it is in a dryer sheet that helps get rid of these two annoyances, but it really does seem to work! Bonus: they smell much better than that awful soap scum remover. 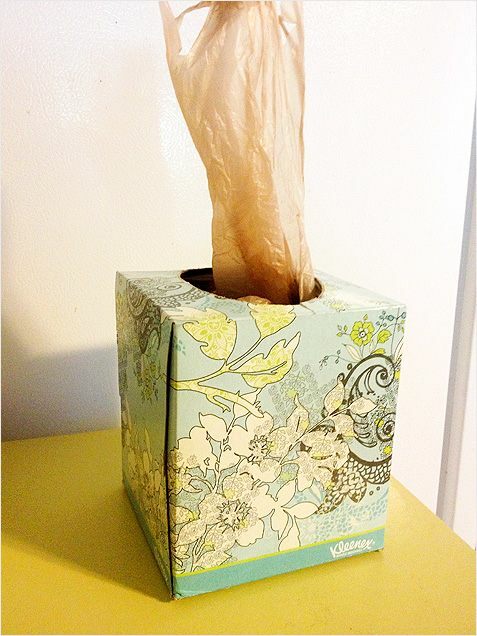 When your tissues run out, repurpose those pretty boxes to hold plastic bags! They work perfectly to disperse just one bag at a time. I especially like this idea for those little doggy poo bags. View the entire list of 60 New Uses For Everyday Items.